Headlines, hot news, and conversation starters on February 9, 2018! 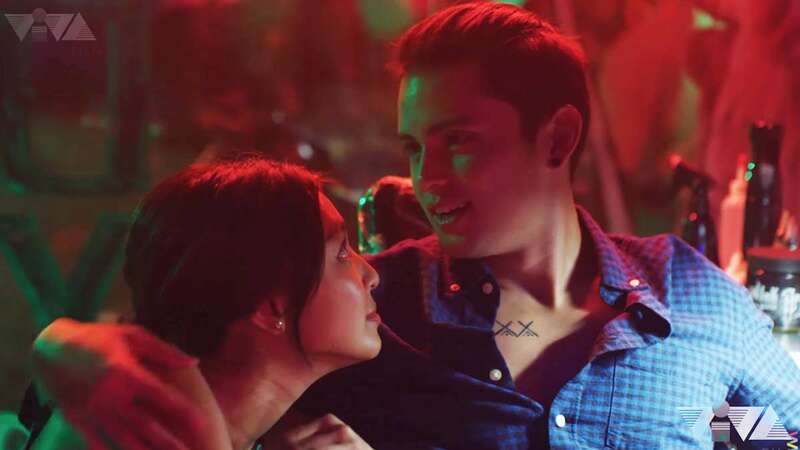 We finally get a sneak peek of James Reid and Nadine Lustre's new movie titled, Never Not Love You. It's written and directed by Antoinette Jadaone, who worked with JaDine in 2015 for On The Wings Of Love. The movie is about two young lovers who fall in love hard until different career opportunities test their relationship. Rodjun Cruz and Dianne Medina have settled on a wedding date: December 21, 2019! When asked why they're opting for a longe engagement, Rodjun said, "Hindi ko nga namalayan na mag-iisang taon na, e. 'Tsaka para mas makaipon pa po." Who knew Sarah Lahbati's got the pipes to match her gorgeous face? Her mom, Esther Lahbati, posted clips of Sarah singing "La Vie En Rose" with Ricky Davao, and her voice is smooth AF! The trailer for Deadpool 2 is finally here! Ryan Reynolds is reprising his role as the lead, alongside Josh Brolin (who makes for a pretty fantastic villain, imho). Flying solo this Valentine's Day? Well, your bae might just be a grab away. ;) This year, Grab is bringing on the kilig with the return of #GrabBae. They have 30 "on-the-road ambassadors" ready to make your hearts flutter. So, how does this work? From Feb 8 to 14, redeem #GrabBae promo codes from the GrabRewards catalogue for only 143 points to be able to book a GrabBae on Valentine's (Feb 12 to 14). Only Grabbers who redeemed #GrabBae promo codes will be qualified to book a #GrabBae on Feb 12 to 14. Remember, each promo code can only be used once, so make sure you redeem a lot of #GrabBae promo codes to surprise your friends and loved ones this Valentine’s Day! When booking, enter the same pick-up and drop off pointsmake sure it's within Ortigas, Makati, or BGC CBDs. Get ready to be serenaded!